I move on to another great German writer Siegfried Lenz is maybe less well-known in English the Boll and Grass . I won this Siegfried Lenz as well in a German lit month competition .He was also in Group 47 , which was a group of writers that was brought together to promote the new democratic west germany after the war Gunter grass was also a member of it .He won most of the big prize in germany including the Goethe prize .He died last year this was a book he wrote this novella in his later life. “Here sit we down in tears and grief ” sang our school choir at the beginning of the hour of remembrance. Then Herr Block, the principal, went over to the rostrum, which was surrounded by wreaths. He walked slowly, hardly glancing at the crowded school hall, and stopped in front of Stella’s photograph on its wooden easel. He straightened up or seemed to straighten up then bowed very low. The opening as they have the memorial service at the school for Stella . A minute’s silence is told on two timelines the present is a memorial service for an English teacher Stella in the crowd is one of her Pupils Christian .But Christian was more than a pupil the second timeline is the building of the relationship between Stella and Christian , from her starting to teach him Orwell in class to the pair draw closer together whilst meeting in secret at school they finally start meeting out of the school as Christian meets Stella at her father’s house her father makes his living by finding stones in the sea . Just before she is due to take a boat trip with her friends and spend time away from Christian.this is where on the boat something happens to Stella . I’d like to see those stone fields sometime said Stella. A stone fisher is a job I hadn’t heard of till this book what a truly unique job fishing for stones . This is a great novella a romance doomed but end before it was doomed two young people joined together even thou one is a teacher and the other is pupil the years between them although not said isn’t many she had just started teaching.He is great at describing the relationship blossoming between the two , but also the world things like Stella’s father talking about his job scrapping stones from the sea bed. I must admit Anthea bell did a wonderful job on this book it is so poetic and delicate i forgot it was a translation, which is why she is still one of my favourite translators .The tale of two lovers told through the younger christians eyes as he tries in the minute’s silence to remember miss Stella Peterson his teacher and oh his lover as well .Is Short yet lingering in the reader’s mind I will be reading more books from him.This is the perfect Novella doesn’t get bogged down in too much history glimpse of the romance and the present give you enough . Have you read Siegfried Lenz ? This sounds great. 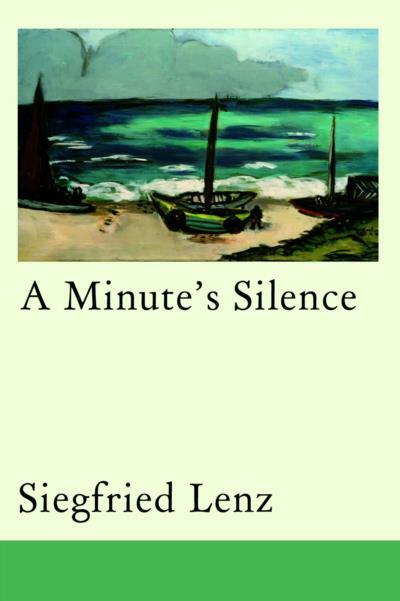 I’ve never read Lenz which is a shame given that he’s knosidered to be one of the finest German writers. The German Lesson, a very popular book in Germany, was the first book by him I read. I liked also Heimatmuseum (The Heritage) and several of his short story collections. A very productive and popular author and together with Grass one of the most fervent intellectual supporters of the new Ostpolitik that advocated for a better understanding between Germany and its neighbors in Eastern Europe, particularly with Poland. Great review, Stu! Not a writer I’d heard of. Stu – though I notice Faber Finds reprinted a couple of his novels fairly recently. This seems to have been published in the US as Stella.